It has been a long time since a film nearly put me to sleep, especially in theaters, but “Southpaw” found a way. The biggest problem with this Jake Gyllenhaal boxing movie is that the majority of the film is uninspired and taken from better boxing movies. Most of the film is spent on how Gyllenhaal’s character has anger issues for no reason other than being a boxer, and how that is destroying everyone around him, which feels like it was taken directly from “Raging Bull” and “The Fighter.” At one point, his life is destroyed and everything is taken away from him, but he is given one last chance to redeem himself in the ring, just like Rocky Balboa. Boxing movies are meant to inspire and show that strength doesn’t come from muscles and punches, but from determination and having a reason to fight beyond loving the sport. “Southpaw” take elements from other movies, but doesn’t seem to grasp what it all means. Gyllenhaal starts at the top, already invested in his family and simply has anger problems. He has a multi-million dollar house and consistently fights at Madison Square Garden. Forgive me if I’m not invested in his fall and rise back to power, but that a spoiled brat of a character who consistently makes poor life decisions. 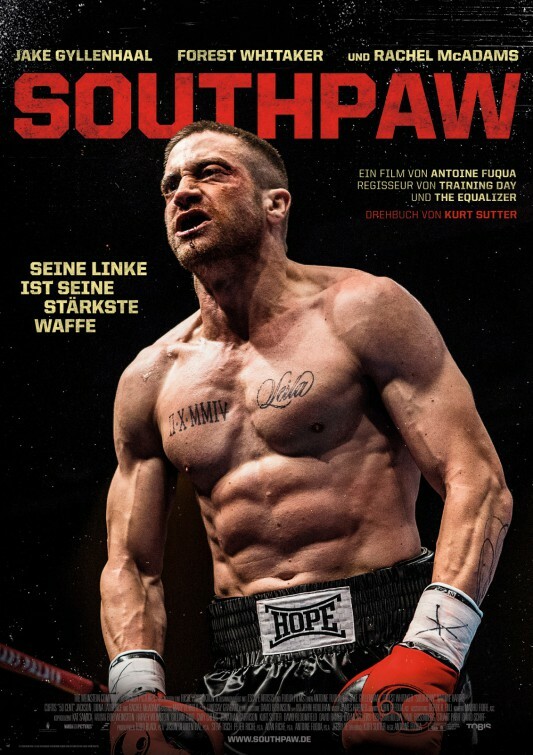 It would be fine if those decisions seemed logical and thought-out, but “Southpaw” almost feels stream-of-consciousness, so all it gets is a roll of my eyes. The only saving grace for “Southpaw” is Forest Whitaker, who plays the trainer that brings Gyllenhaal back up. Most of his scenes are forced and written exactly like any scene from “Rocky” that features Mickey, but Whitaker at least has a few emotional scenes where we find out his motivation to help out children. Second verse, same as the first. Except even less prop fighting and martial art goodness, and more of Chris Tucker, though less obnoxious than the first. At least this time, Chris Tucker learns to control the volume of his voice and can hold a conversation with a normal person, and without resorting to referring to Michael Jackson songs or dancing all over the place. Oh, he still does all that, but he is at least less willing to do all of that. Jackie Chan, however, is really starting to show his age, which is probably why there are so few extravagant fight sequences or ones that are mostly CGI. The best part of “Rush Hour 2” is a fight sequence between Jackie and a gang of triad members climbing a building with a bamboo support structure, while Chris Tucker chases them up the building and interacting with all sorts of foreign customs. Jackie and the gang make it all look so simple, and it ends with a great stunt with Jackie and Chris holding on to one stick of bamboo on top of the building. 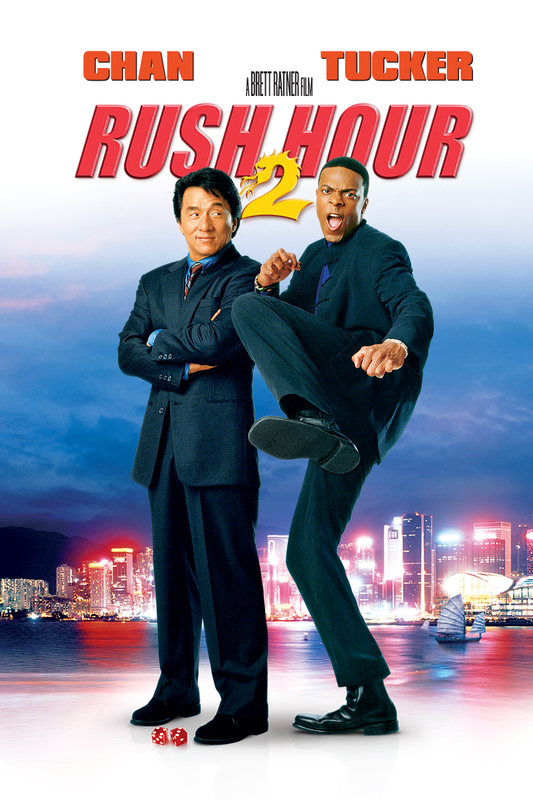 Overall, “Rush Hour 2,” is more of what we got in “Rush Hour,” except with a bit more characterization, better comedy from Chris Tucker, but less action. So it depends on what you want out of the films – If you want great action, watch the first film, but for comedy and characters, give this one a try. I agree with Southpaw. I felt like there wasn’t enough footage of his recovery and training to get back in the ring to save his daughter. It kind of lacked emotion… The movie went by so quickly!!! It barely exhibited his struggles.